If it wasn’t enough that we are currently expecting baby number 2, we are also in the process of trying to find the perfect home for our family. Many people look for different things when they are looking for a new property, for us, we are pretty easy to please. All we want is a nice garden and a 3 bedroom house. A garden is something that we have never had, as we have always lived in a flat. While its frustrating, we are quite lucky that we live by lots of country parks, so getting out isn’t a problem. It isn’t quite the same as having your own garden though, is it? I want somewhere safe and secure to let Emily explore. With that in mind, I have been thinking about things I want in our garden, and with spring fast approaching, I thought I would share my garden wish list with you. I have really fallen in love with this traditional cottage-style playhouse, it comes with a decked veranada and a little picket fence. I know Emily would absolutely love having something like this in the garden, she adores role play, and would make this little playhouse her home straight away. I think it would also be really nice for the girls to share as they get older. Emily currently has a sand and water table, but she hates that she can't sit in the sand like she does in the beach. If and when we have the space, I would love to get her a wooden sandpit like this. It has a lid that turns into a bench, meaning it not only protects the sand, saving us from having to change it numerous times, but it also provides a little seat. I love that this climbing frame has a bit of everything, you can choose what colours you want to have the accessories, and there is something for everyone. It has a slide, swing, and even a little deck underneith that they can hide away. I know Emily and her friends would have hours of fun on this climbing frame! This traditional wooden picnic table has been something I have always wanted in my garden, it is perfect for four people, and would be the perfect excuse to have a picnic even when it is a little bit colder but dry. Emily loves to have picnics and I know she would be amazed if we had our very own picnic table in the garden! Emily already has one of these, but I would love to get her a bigger version. She constantly wants to play on the slide, and asks us constantly to go to the park. Having her very own big slide in the garden would mean I would have a chance to get on with some housework while she happily plays in the garden. Everytime Emily see's one of these little bubble cars she asks for one, I would love to have the space in a garden to get her one of her own. We recently took a visit to toys r us and she drove the little pink bubble car around the whole shop, of course there was lots of tears when it was time for her to get out the car and go home. I have also been looking on Turnbull's website for a garden shed, as I know we will need one to store all of Emily's garden toys during the winter. Although I can't quite decide on what size, or style I would like until I see what our garden will look like. 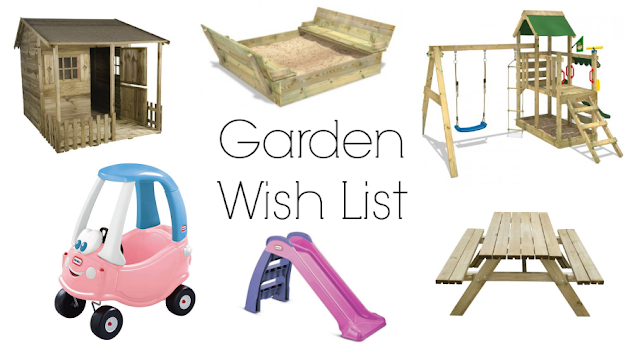 What is on your garden wish list for this summer? 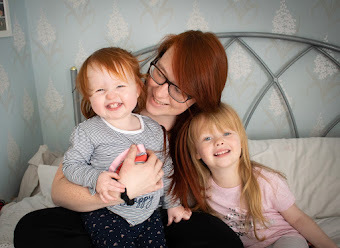 What Does Being A Mother Mean?